The arrival of the Internet has undoubtedly transformed the way we go about our daily lives. It is now possible and increasingly common to work, shop and study online. But technology has also transformed the way we interact with others and how we establish personal relationships. Barely 20 years ag, the thought of using the Internet to find a date or a life partner caused raised eyebrows. Things have come a long way since. According to researchers and social media experts, nowadays online dating is the second most popular way of meeting potential romantic partners. For example, a 2014 study revealed that more than 25 million people all over the world use dating websites every month. Ireland is not lagging behind in this respect, as a recent Irish Examiner article claimed that approximately 500,000 Irish residents have used online dating sites at some point. However, online dating is still surrounded by a number of misconceptions. Using a dating site can have several benefits, but it is important to be familiar with some key facts about these platforms. Read on to find out how you can successfully use dating sites to find a suitable partner in Ireland. If you are new to the online dating scene, you may be curious as to why so many people sign up for these services. In a nutshell, it is all about convenience. The hectic pace of modern life leaves us with very little time to socialise or meet new people. 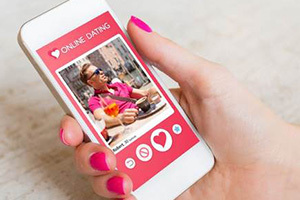 Dating sites simplify interactions with potential partners, as users can easily narrow down their search by selecting among a wide range of criteria, such as age, lifestyle preferences, interests, personal background or location. On the issue of location, it is important to realise that dating sites can have a local or a global focus. For example, some local Irish sites allow you to perform what is known as a postcode dating search. In fact, most dating sites in Ireland let you search for local singles based on their place of residence, as physical location is an important criteria for many dating site users. Another thing you need to be aware of is the difference between free and paid or subscription dating sites. Some sites are totally free to use, which means that you can easily browse through profiles and check out the site's functions without needing to commit financially to a specific platform. However, using a free site means that anyone could look up your profile, so if you are not comfortable with the idea or want total privacy, you are better off looking for a paid online dating service. In Ireland, membership fees range between €12.90 per month (match.com) to €19.95 (Elite Singles). Other sites like eHarmony offer a number of free features, but you will need to subscribe if you want to have full access to the site. Over the past decade, the Irish online dating industry has mushroomed in size. With so many platforms now competing for a market share, it can be difficult to decide which website suits your needs and interests best. Below you will find some useful pointers and some interesting questions to ask yourself before you commit to a specific site. Does a site have a specific target audience? It is important to understand that some sites cater to very specific audiences, such as recent graduates, those with a specific religious affiliation, older individuals, or those who have children from previous relationships. Not all dating sites are created equal, and there is a reason why the most popular sites have millions of users. It is useful to find out what other people have to say about a specific website, so do an online search to find genuine user reviews on different sites. How user friendly is the site? Are you good with computers? If a site is too complex to figure out, you may miss out on important benefits. Many dating sites are making the switch to mobile technology, developing mobile apps that are easy and convenient to use. There is a large amount of sensitive data shared through online dating sites, so you really want to read through their privacy policies to see what's their approach to personal information. How do they deal with spammers? What measures are in place to identify stalkers or scammers? Thanks to technology, finding a suitable match in Ireland has never been easier or more convenient, so follow the tips and suggestions mentioned in this article to make the most of the tools and resources offered by online dating platforms.